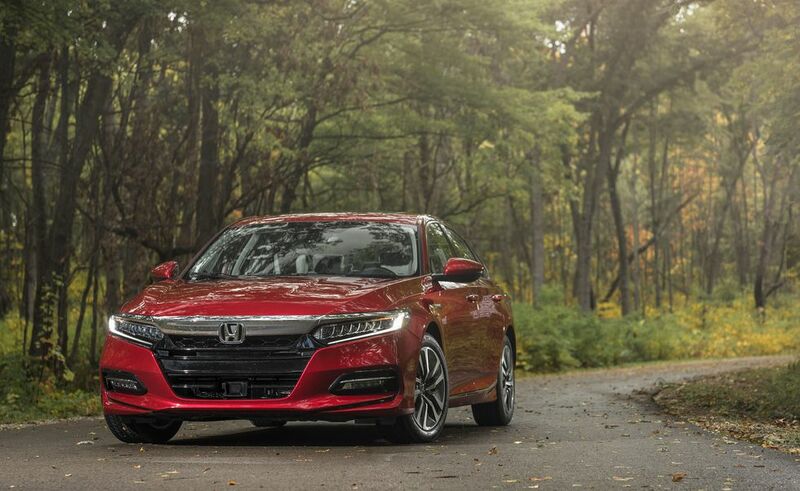 As much as “buy American” enthusiasts like to lament the heydays of Ford, Chevrolet, Chrysler and the like, the U.S. family car market has long been dominated by two companies based in Japan: Honda and Toyota. However, instead of the Honda Accord and Toyota Camry duking it out for the attention of mom and dad, those midsize sedans have steadily lost ground to their small SUV counterparts: the CR-V and the RAV4. These two vehicles are the founding fathers of the crossover market and though they’ve abandoned the rugged, athletic appearances that defined their younger years (R.I.P. spare tire mounts) for safer, more fuel efficient body styles, both have remained the cream of the crop in the segment. So, we decided to put them to proverbial “Pepsi/Coke Challenge,” except, rest assured, we weren’t blindfolded… or hanging out with Kendall Jenner. Instead, Associate Editor Brian León and I drove the CR-V and RAV4 back to back to determine which one of these top sellers is actually the best small crossover on the market. Both vehicles provide ample interior room, a healthy amount of cargo space and comfortable driving experiences, but while these two models might be neck and neck on the sales charts, one stands head and shoulders above the other, in our eyes, when it comes to overall value. Kyle: Some relationships are love at first sight while others grow over time through shared experiences. The same can be said with cars. Nothing about the RAV4 screams out for attention and it’s not going to make hearts swoon during hot laps, but it doesn’t have to for Toyota to sell 350,000 units in year. What makes this vehicle endearing is its ability to deliver ample utility and safety in a no-nonsense package. It also doesn’t hurt that you can get into one for less than the cost of most Camrys (Camries?). With a charming, “cinnamon” Softex leatherette interior, the RAV4 I tested invited me in and kept me comfortable with padded, adjustable front and rear seats. Once inside, drivers can be comforted further by the fact that every RAV4, regardless of trim level or additional packages, comes with not only endorsements from the nation’s top safety monitors, but also the Toyota Safety Sense suite of semi-autonomous driving assistance features. Add to that a relatively spacious cargo area with a 60/40 flat-folding rear bench and a bevy of small item storage spaces, ranging from the cavernous box in the center console to the ledge carved out above the glove box just for front seat occupants to place their phones, keys, etc., and you’ve got a boat-load of utility packed into a vehicle that still fits comfortably in a standard garage. If the goal of a crossover is to offer more capability than a sedan in a more presentable package than a minivan, the RAV4 certainly meets that standard. However, this compact crossover isn’t winning any beauty pageants and its age is becoming apparent in more places than its squinty front fascia. Technologically speaking, a fully-loaded RAV4’s 7-inch infotainment screen offers all the industry standards: navigation, satellite radio, Bluetooth capabilities, hands-free operation and smartphone connectivity, as well as a few extra features that are available in other vehicles, though not quite as ubiquitously, such as weather and traffic updates. However, upon using these features, I found their interface appeared dated compared to some of the RAV4’s closest competitors. Also, Toyota continues to boycott Apple CarPlay and Android Auto, saddling drivers with its homegrown and less intuitive Entune system. Toyota also remains committed to making you operate cruise control in all of its vehicles through a wand that juts out from the steering column at an angle that makes it tough to avoid brushing the top of one’s leg while navigating some highway curves. It would be less intrusive and, frankly, more visually appealing if the automaker would just do as nearly all of its competitors do and bake these controls into its steering wheel. Also, the RAV4 offers next to nothing in terms of driving character. Steering is feathery light, body roll kicks in on the simplest of curves and the 2.5-liter, four-cylinder engine offers a meager 176 horsepower. Not to say performance is a key factor for many buyers in the small crossover segment, but in comparison to the surprisingly fun CR-V, it’s yet another L for Toyota. For 2017, Toyota’s RAV4 has a few surface-level issues, including body style and cargo capacity, as well as some less obvious elements, such as infotainment technology and driving dynamics, that keep it squarely behind the all-new CR-V. However, it’s still a darn good vehicle and one that might just win over your heart, if you let it. Brian: I’ll be the first to admit that the RAV4 is at a bit of a disadvantage in this comparison seeing as the CR-V is all new for this year, but as there will still be hundreds of thousands of buyers cross-shopping these two exact vehicles, we’d be remiss if we didn’t make it clear which one is superior. The RAV4 comes close to matching the cargo-hauling prowess of the CR-V, as it actually had the old model bested in that category, boasting 38.4 cubic feet behind the rear seats and 73.4 cubic feet with them folded flat. Unfortunately, those reclining rear seats can only be folded down by operating the levers on either side of the car, meaning you have to circumnavigate the rear of the vehicle just to get those seats down. The CR-V, by contrast, can fold its seats flat with just two handles in the rear cargo compartment. Where the RAV4 wins in this category, however, is the inclusion of a surprisingly low load floor and cube-shaped storage area, which makes hauling heavy stuff – and lots of it – as easy as it would be in many larger vehicles. Technologically, it’s still behind the times, especially the ancient (or at least ancient-feeling) Entune infotainment system, but the inclusion of Toyota’s Safety Sense P system across the range as standard is a breath of fresh air, giving you automatic emergency braking, forward collision warning, lane departure alert with steering assist, automatic high beams, and dynamic radar cruise control. However, what really places this people-hauler in second place is the overall build quality; not just is it a major step behind the new CR-V, but many other competitors offer superior fit and finish too, including the Kia Sportage, Hyundai Tucson, and Mazda CX-5, among others. In comparison, the RAV4 feels slightly hollow, and there are rattles and shakes that shouldn’t be occurring on a vehicle with less than 10,000 miles on it so far, not to mention one that’s pushing $40K. Which reminds me: our RAV4 Platinum test vehicle with all-wheel-drive rung in at a whopping $37,919 all included, which makes it over $3,000 more than the CR-V, which feels more solid overall by a fairly wide margin. That’s entirely too much, even for a loaded RAV4, and it begs the question of what you’re actually getting by spending a couple of extra thousand dollars when the Limited trim rings in at a few thousand dollars less. From what I can tell, you’re paying up to $3,000 more for the platinum just to get a foot-activated tailgate, body-color cladding instead of plastic trim, and a heated steering wheel. I’ll leave it up to you to decide whether or not that’s worth it. Pros: Toyota Safety Sense as a standard feature; spacious cargo area with low load floor; proven reliability; affordable base MSRP; hybrid model available. Cons: Technology feels dated; disappointing fuel economy ratings for AWD variant; bland driving dynamics; hefty price for (not many) added features. Conclusion: The RAV4 is getting old, but it’s still one of the best small crossovers on the market. Head-to-head, it can’t quite best the all-new CR-V, but with its advanced standard safety features, it might be the better bargain buy. Brian: It’s hard to think of a vehicle that can do almost every single thing you ask it to do with more competence than the Honda CR-V. Need to haul five people and an equal amount of stuff all at once? No problem. Want to have all-wheel-drive capability for inclement weather while still pushing close to 30 mpg overall? Sure thing. Need a comfortable and quiet ride for the hellish commute to and from work? Done and done. I humbly submit the Volkswagen Golf GTI as the only other vehicle to do so many things so well while still ringing in at under $35,000, but when it comes to what most American buyers want and need, the numbers don’t lie: they want CR-Vs, and lots of them. 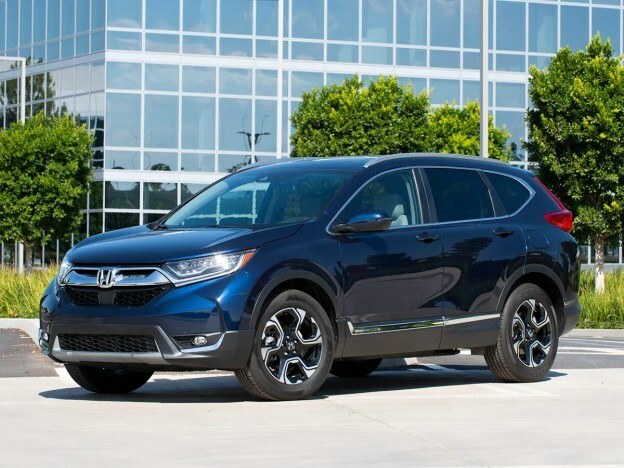 The Honda CR-V has been the best-selling utility vehicle in America since 2012, and has only been on the market since 1997, and though it trails the heavily-marketed Nissan Rogue this year so far, The CR-V outsold both Honda’s own Accord, the RAV4, and the Toyota Camry last year, all without shifting a single vehicle through fleet sales. 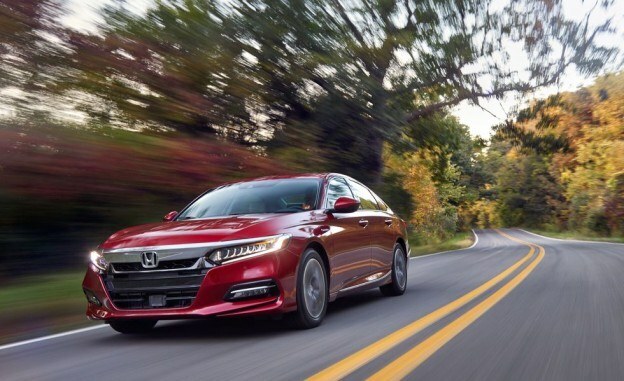 For 2017, Honda’s completely overhauled their best-seller, and it desperately needed to be better than before to keep the company’s perch atop the SUV sales heap. Fortunately, it is better, in almost every measurable way, and that gives it a distinct advantage over the aging RAV4. We’ve outlined all of the reasons why the new CR-V is wholly improved over the old one in our full ratings and review, so consider this a more succinct summary. Sporting a sleeker and more modern design than the outgoing CR-V, the new version looks better from seemingly every angle, from the more aggressive front maw to the boxier rear end, thankfully doing away with the humpback style of the 2016 and earlier model. Handsome 18-inch wheels are standard from the mid-tier upward, and the plastic body cladding and chrome detailing looks great when paired with an interesting hue, like the excellent Molten Lava Pearl red-orange paint job our test vehicle was finished in. Inside, the cabin design is more conventional, but you may notice the addition of a volume knob as a sign that Honda’s designers have truly been listening to our cries of anguish. The tan leather upholstery is soft and supple, and the tall, supportive seats are a pleasure to sit in for extended periods of time, even if there’s still no passenger seat height adjustment. Also, it’s so quiet in the CR-V, you could hear a pin drop… or your kid drop their favorite toy, more fittingly. Still, the addition of Apple CarPlay and Android Auto smartphone projection is a welcome improvement, and I often defaulted to using CarPlay instead of Honda’s system while on the road. Cargo space increases slightly over the outgoing model too, boasting a whopping 39.2 cubic feet of space behind the rear seats and 75.8 cubic feet with them folded flat, which can be accomplished with the ease of pulling just two handles, something the RAV4 distinctly lacks. What’s more, the CR-V starts to look like an absolute bargain, even fully loaded, with a top-tier sticker of just under $35,000, while the optioned-out RAV4 came in at almost $40,000. 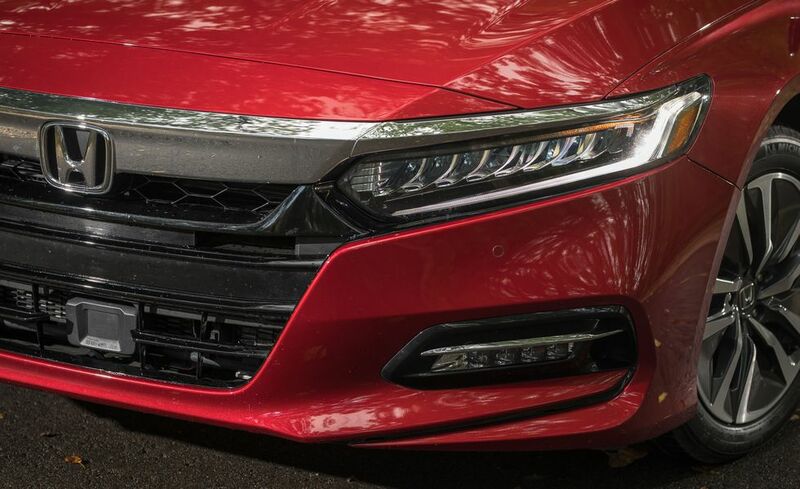 Unfortunately, you’ve got to step up to the EX trim from the base LX to get Honda’s active safety technology suite, but you’ll likely want the extra kit anyways. Kyle: The moment I stepped into the new CR-V, I knew this wasn’t a fair fight. From the real leather encasing the driver’s seat to the more substantial and heavily weighted steering wheel, everything about the CR-V felt more premium than the RAV4 I’d just spent the previous few days tooling around town in, despite both being fully spec’d out and the Toyota costing $3,300 more than the Honda. Punching the gas and stretching the legs on CR-V’s 1.5-liter 4-cylinder engine felt almost sporty in comparison to the RAV4, particularly when the turbocharger kicked in. In reality, the crossover made just 190 horsepower and was, under most circumstances, fairly unimpressive with its continuously variable transmission. But I was starved for personality and the RAV4 could make a conversation with Ben Stein feel like an afternoon with Cosmo Kramer. With its new dual-pinion, variable gear ratio electric power steering, the CR-V feels more direct and balanced on the road, handling curves and corners much more fluidly and precisely than its rival. Supple MacPherson front strut and rear multi-link suspension handle blemished city roads with ease and deliver a pleasantly quiet driving experience. FOLLOW THE DAILY NEWS AUTOS ON FACEBOOK. ‘LIKE’ US HERE. Thanks to its reduced engine size and continuously variable transmission, the CR-V also offers a significant improvement on the fuel economy front, giving it the win in both performance and efficiency. Despite its relative advantage, if you’re looking for true driving dynamism, I suggest you look elsewhere (perhaps the Mazda CX-5); this is still a crossover SUV, after all. 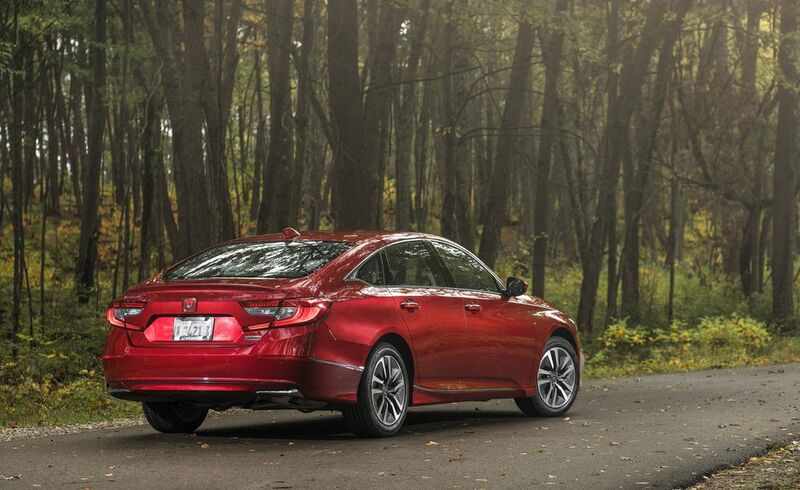 Acceleration leaves a little something to be desired and the rubber banding effect of the CVT goes unmitigated, though Honda’s transmission handles itself better than many under normal driving circumstances. 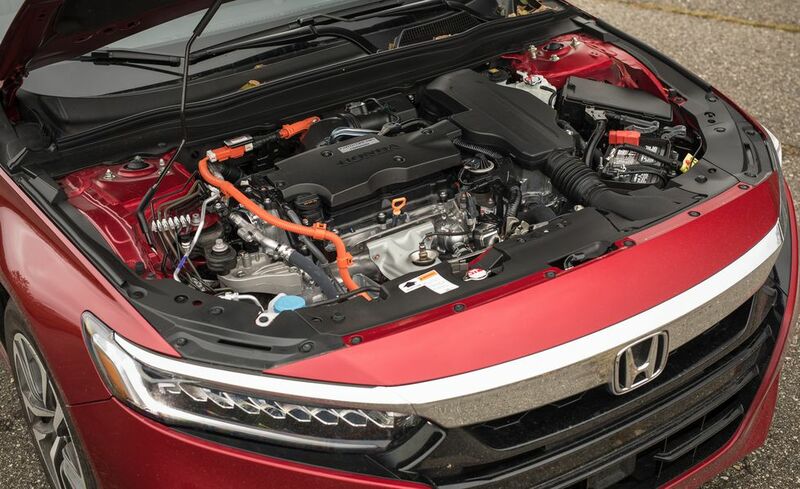 Honda still requires an upcharge to get its Honda Sensing advanced safety suite—which includes adaptive cruise control, lane-keeping assistance, automatic crash mitigation, forward collision and blind spot warnings, and so on—for its compact crossover. What’s more, rear parking sensors are extra, and there are no front parking sensors whatsoever… a little ironic for something with the name “sensing” right in it. However, that package comes standard on its EX trims and higher, which runs about $2,600 more than the base LX. 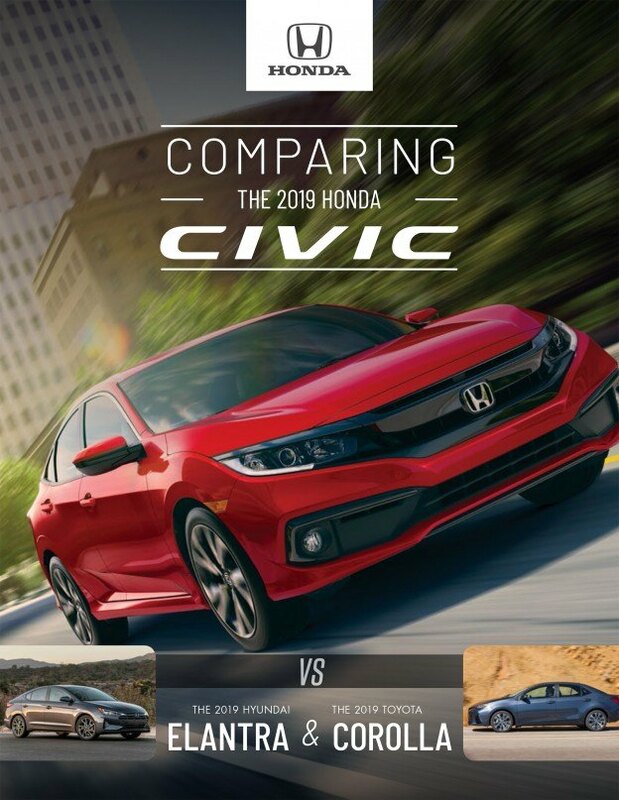 This can be viewed two ways: 1) Honda has done a good job making its best safety features affordable or 2) Honda is being stingy by not including them in all models like Toyota. Take your pick. Although both the RAV4 and the CR-V earn top accolades from both the Insurance Institute for Highway Safety and the National Highway Traffic Safety Administration for 2017, the CR-V performed just a bit better, earning five-star ratings in the driver and front passenger crash tests, while the RAV4 got four-stars in each. Not much to squabble over, but it’s something. On the tech front, CR-V has the clear advantage by being refreshed, although it also helps its case by offering Apple CarPlay and Android Auto. Toyota might end up winning that bet in the long run if it can make its Entune system as user-friendly and capable as the brand-new packages, but for now Honda takes the win by taking the easy way out. A lot of people, including Brian, have showered Honda with praise for finally giving the CR-V its volume knob back, which I’ll admit was a good move. However, I’m not letting them off the hook without pointing out how silly the knob looks just tacked on to an otherwise smooth infotainment system. My vote would be to place it under the screen or make the screen narrower and position the knob just to the side of it. At this point, it almost seems passive aggressive in its lack of elegance. Nitpicking aside, the 2017 CR-V is a rock-solid vehicle and represents money well spent by Honda. It offers more comfort, a better driving experience and more cargo room than the RAV4 without sacrificing on the safety front. What more do you need? Pros: Improved styling; improved comfort; improved cargo space; improved ride and handling; improved engine. Cons: Still not much fun to drive; infotainment system can be downright infuriating; no hybrid model (yet). Conclusion: A volume knob (and an improvement in almost every possible facet) make what was already a critics’ and buyers’ favorite even stronger, and the new vehicle to beat in America’s most cutthroat segment this side of the pickup truck market. This entry was posted in Awards & Accolades, CRV Articles on May 3, 2017 by Administrator.